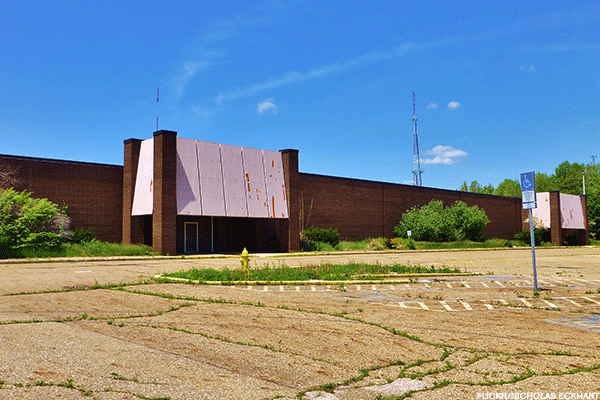 Sears just doesn't have a place in a world run by millennials. I recently visited a retail store that was so well-staffed, organized and aesthetically pleasing I almost couldn't believe I was still in 2017 - the year of the dying retail industry. Take a guess as to which retailer it was. Here's a hint - it was not a store run by Sears Holdings Corp. (SHLD . However, it does have a connection to the ever-struggling operator of the Sears and Kmart stores. The answer is Primark - owned by parent company Associated British Foods plc (ASBFY - the growing Dublin-based fast-fashion, off-price retailer coming for Sears' head. Not that Sears Chairman and CEO Eddie Lampert seems to mind. In 2014, Sears sparked a deal with the U.K. rival to Hennes & Maurtiz (HNNMY and Forever 21 to lease a total of 520,000 square feet of its retail space to Primark. 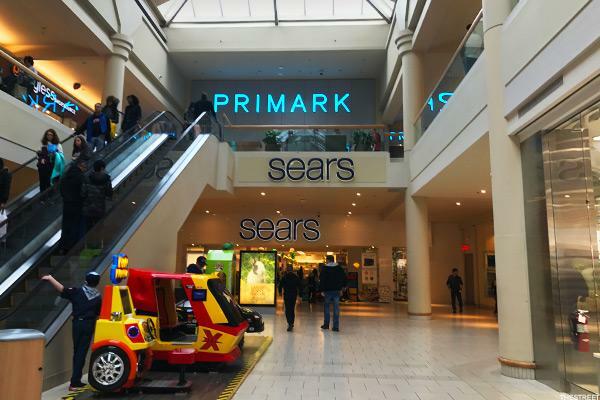 The Irish retailer, which was able to make its U.S. debut in September 2015 through the deal, got eight standalone stores out of the transaction, which are all primarily located on what used to be the top level of a Sears mall-based store. Lampert is desperately trying to sell off real estate to raise cash, as Sears burned through $1.6 billion last year alone and is on track to shed another $1.8 billion in cash this year. 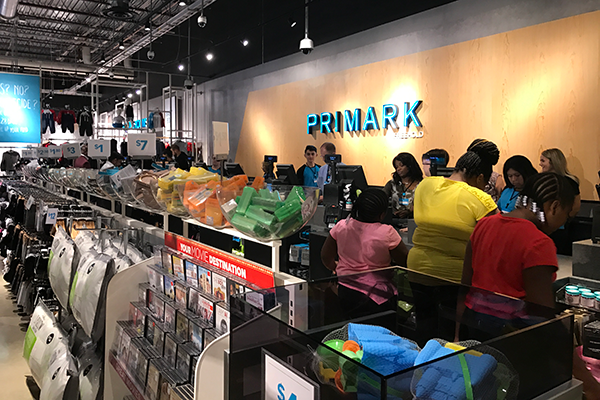 On Friday, Aug. 4, I visited one of Primark's eight U.S. stores located in the Freehold Raceway Mall in New Jersey in a second-floor space that used to house a Sears store's upper level. The store was as neat as a stiff drink; had an industrial feel; carried a wide array of items from luggage to casual apparel to business attire and offered a hefty load of discounts. 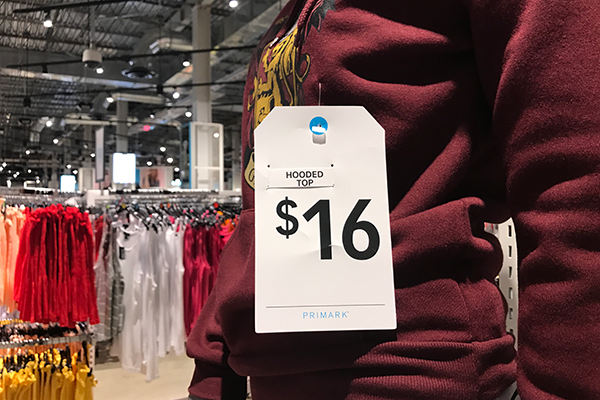 The Primark location at the Freehold Raceway Mall, N.J.
Emily Kosc, 23, while perusing through clothing racks, told TheStreet that she "loves" Primark and shops at the Freehold location often. 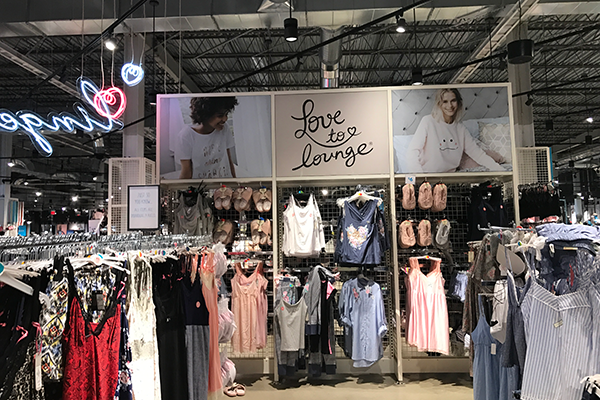 "The prices are reasonable and it's still really good clothes," Kosc explained, saying that she also shops at other fast-fashion and discount retailers including Forever 21, Charlotte Russe Inc. and The Gap Inc.'s (GPS - Get Report) Old Navy. 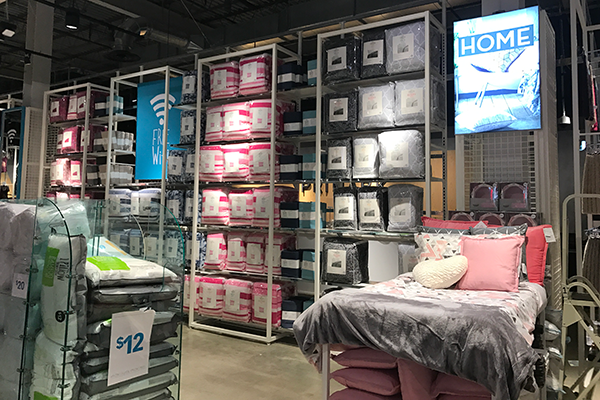 As for Sears, the millennial consumer said that the traditional appliances and home goods retailer carries "nothing that I need at my age" so she never shops there. Sears spokesman Howard Riefs didn't immediately return a request for comment. Here's what stood out to me during my visit to Primark. 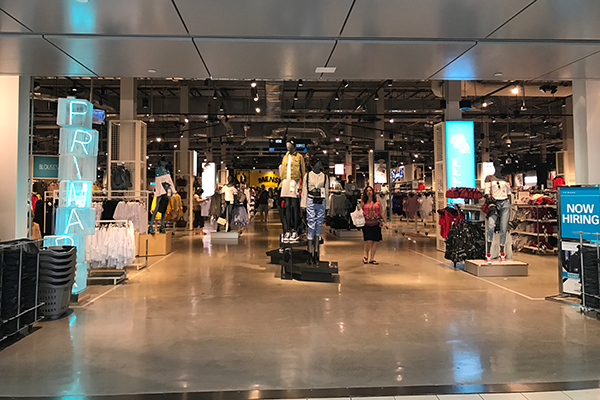 Although possibly appearing at first glance a tad overwhelming [nothing out of the ordinary for fast-fashion retailers, just take a look at any giant Forever 21 store], the store looks intriguing. Let's go in. It was easy to navigate. Upon entering, I found that the store, despite looking gargantuan from the outside, was easy to navigate as there were signs everywhere guiding me through my visit. The price tags were definitely appealing. Sweatshirts for $16, belts for $4, luggage for $40. The prices definitely can attract a cash-strapped, discount-hunting millennial shopper. 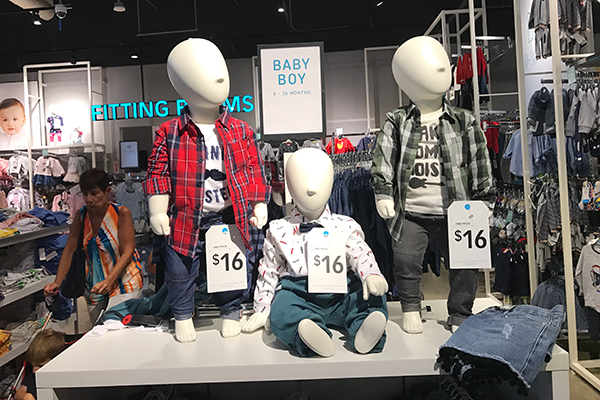 Likely with the thought that millennials are beginning to approach the age when one typically starts a family, Primark does not limit itself to young men's and women's apparel. About a quarter of the store was dedicated to Junior. Even aspiring business leaders can shop here. 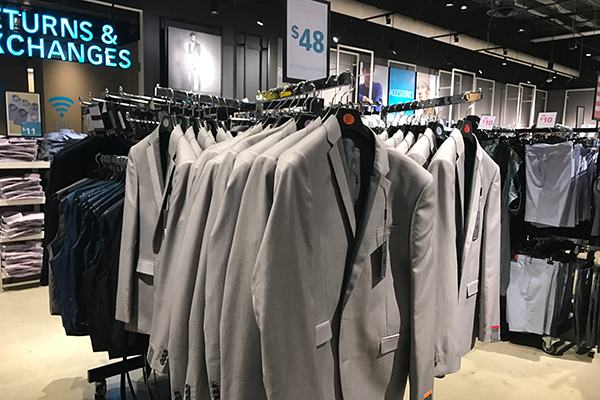 Primark sells affordable business attire along with its casual apparel. 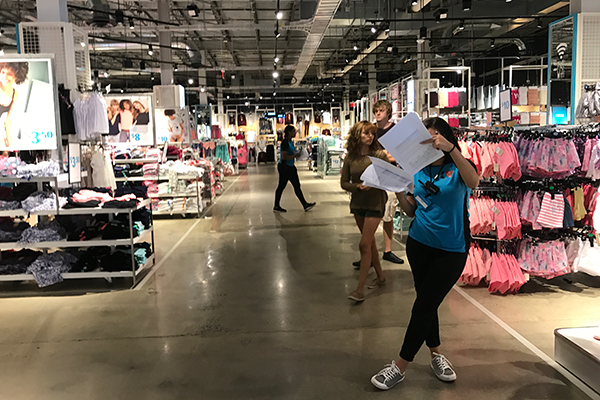 Unlike when walking into a Sears or Kmart store, where you'll be lucky to find a resourceful employee at hand, Primark's workers were visibly present and alert to customers' needs throughout the store. The store was equipped to take on heavy traffic. I went into this Primark store midday during the week, so I did not personally experience how the store handles a heavy influx of customers. However, the store's organized checkout lines, multiple cashiers and two checkout areas appeared to be well equipped to take on peak traffic hours. There seemed to be an endless assortment of items. 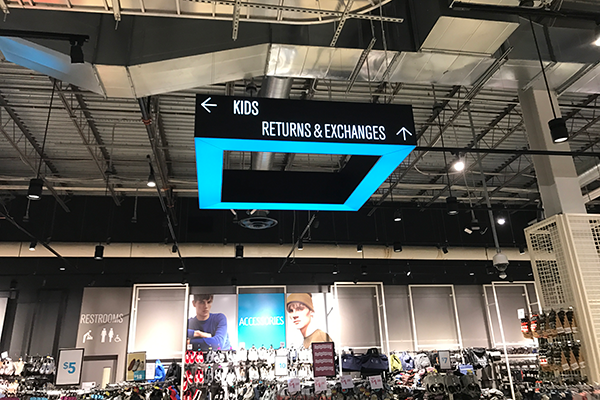 Although at first glance, Primark appears to be just an apparel and accessories retailer, its stores actually house so much more. Looking for luggage, gift bags, shoes, bedding or hair supplies? Primark has you covered. The store format was clearly designed to entice millennial shoppers, from its Instagram-worthy displays to its underground, basement style. 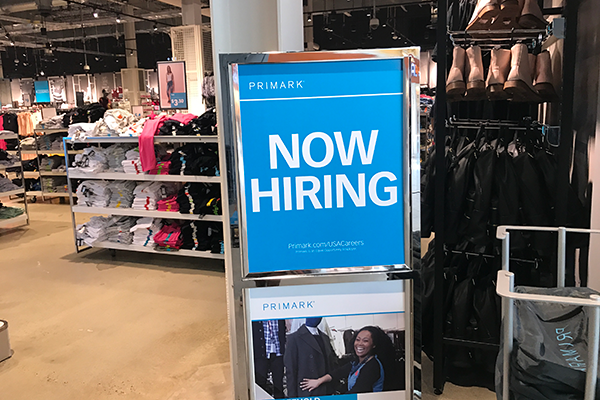 Last but not least, Primark is now hiring, giving me reason to believe it's doing pretty well. Not the case at Sears. Has Warren Buffett Found the Retail Holy Grail in a Landscape Decimated by Amazon?